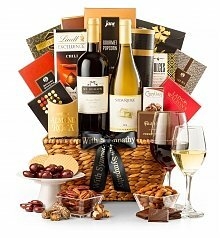 Gourmet chocolates, exquisite champagnes, 90-point rated wines, and beautiful fresh flowers are just a few of the ways we can help make it a day they'll never forget. 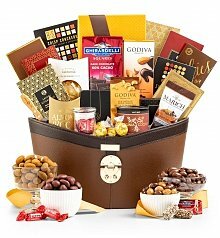 From Godiva, Marich, and Ghirardelli chocolate to Moet & Chandon, Dom Perignon, and Cristal, you'll have the pleasure of sending a romantic gift unlike any other they've received. 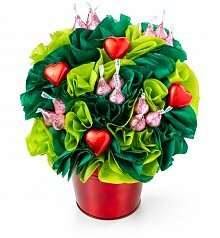 Fresh flowers are often the most reliable choice for a romantic occasion. 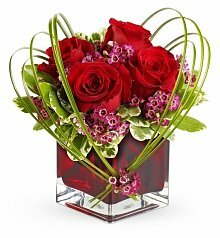 Our wide selection of bouquets that include red and pink roses, fragrant lilies, bright gerbera daisies and exotic tropical flowers ensures that you can send the lovely romantic gift she expects and deserves. 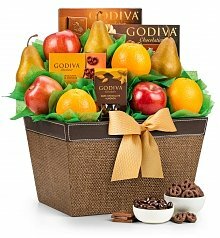 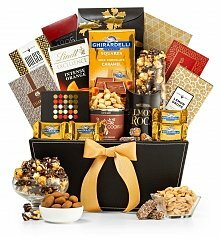 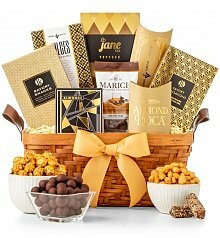 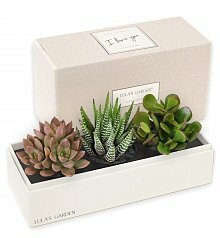 While it goes without saying that chocolate, wine and flowers are traditional romantic gifts that are always well-received, gourmet gift baskets such as the Champagne & Truffles Gift Basket or the Champagne Romance Gift Set provide another unique and memorable option for a cute romantic gift. 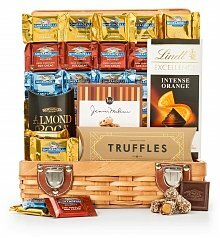 The Champagne & Truffles gift basket includes a customizable ribbon for a personal touch, and the Champagne Romance features a charming picture frame to commemorate the affection you feel. 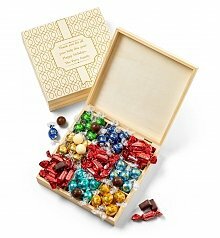 Bookmark GiftTree now and sign up for our email list so you never miss out on all the top romantic gifts every time the occasion presents itself!